CLICK HERE FOR MORE BOOKS BY DENNIS ETCHISON. 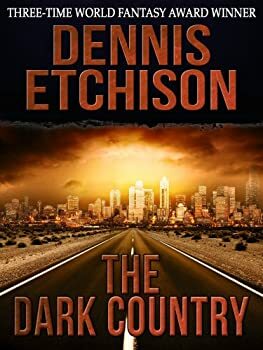 The Dark Country was Dennis Etchison's first collection of short stories, and originally appeared back in 1982. I picked up an out-of-print copy recently, after seeing that it had been included in Stephen Jones and Kim Newman's excellent overview volume, Horror: 100 Best Books. Well, I don't know if I would place it on my personal top 100 list, but this book certainly is a unique collection of shuddery, gruesome little tales.